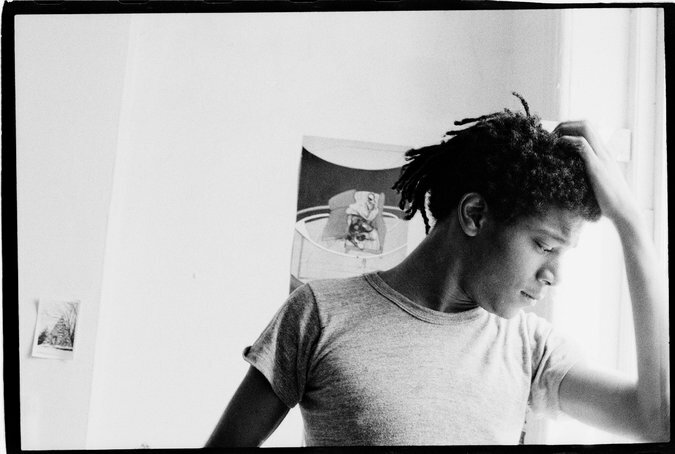 The photos above are from Basquiat Before Basquiat: East 12th Street, 1979-1980, currently showing at the Museum of Contemporary Art in Denver. 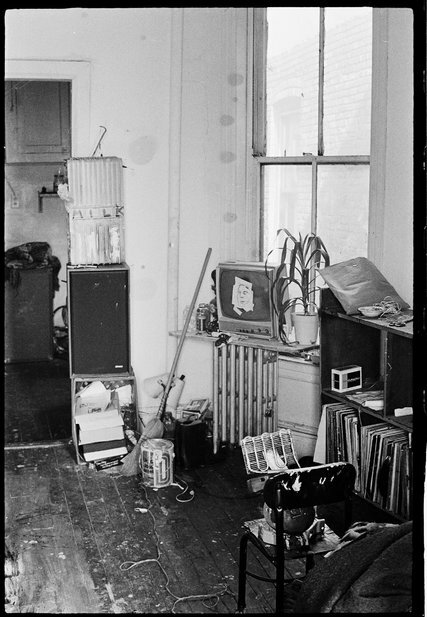 The exhibition includes black and white 35mm photographs by his roommate Alexis Adler and works made by Jean-Michel Basquiat during the year he lived with Adler in a flat in the East Village, before he became widely recognized in the 80’s. While living with Adler, Basquiat moved from his SAMO tags on the surrounding streets and neighborhood into more permanent media in their shared flat. Adler’s photographs nicely illustrate the developing artist and how the context of life in New York informed Basquiat’s art. Adler recalled how she, a Jewish girl from Seattle, a Barnard grad with a biology degree — met the Haitian-American high school dropout. Basquiat was homeless at the time. He’d just been kicked out of his high school and was crashing at her friend’s apartment. Adler, then 22, saw in Basquiat someone “deep and introspective,” in a mohawk and an “old man’s overcoat” he bought at a thrift shop. In time, his paintings would sell for stupid sums; in 2012, Christie’s sold one of his paintings, “Dustheads,” for $48.8 million. He was at the height of his powers when he died in 1988 of heroin overdose. He was 27 years old. 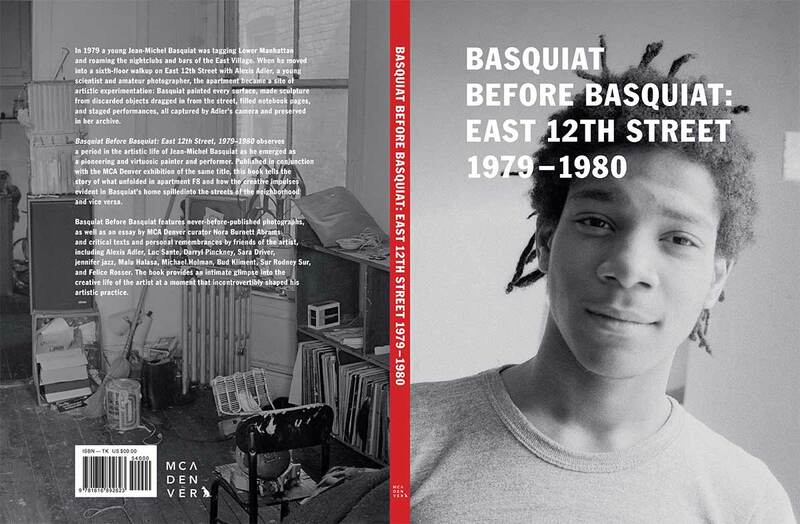 The MCA Denver exhibition and book presents New York City in the late 1970s and early 1980s through the prism of Jean-Michel Basquiat’s art and the lens of Alexis Adler, documenting the fertile period from which the mature Basquiat emerged. Adler’s simple photographs show him at a vital, yet mostly unknown moment of his career. I have no idea what camera she used – frankly it doesn’t matter. What matters is that she found the time to document the mundane daily activities of her life with a then unknown friend and lover, photos that only in retrospect acquired the importance they now have, and the technological necessities of the time dictated that those photographs were analogue, giving to posterity something physical that could be preserved and passed along. Plus, they’re cool photographs – great examples of the imperfect perfection of 35mm film photography at its simplest, where content trumps technical concerns and the power of the image lies in its emotional and historical connotations. My guess is that we’ll see less and less of this in the future. Today’s Basquiat’s, laboring anonymously somewhere, photos of whom are now subject to the ephemerality of in-substantiated 1’s and 0’s and digital rot, probably won’t have the benefit of these sorts of photo retrospectives. All the more reason we need to keep shooting film. This entry was posted in Documentary Photography and tagged Jean-Michel Basquiat on February 14, 2017 by Leicaphila. 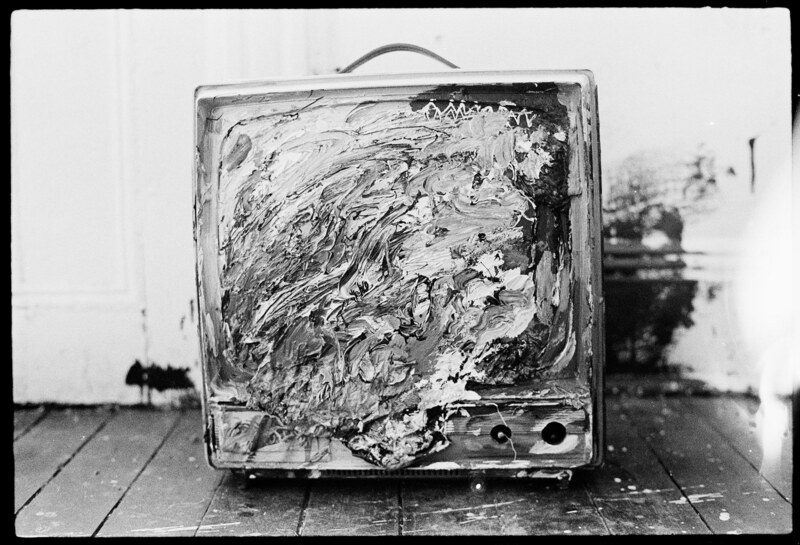 Sometimes I think it was noteriety, not quality, that made names in the 1980s art world. ODing on drugs didn’t hurt–another sensitive soul martyring himself for art’s sake. 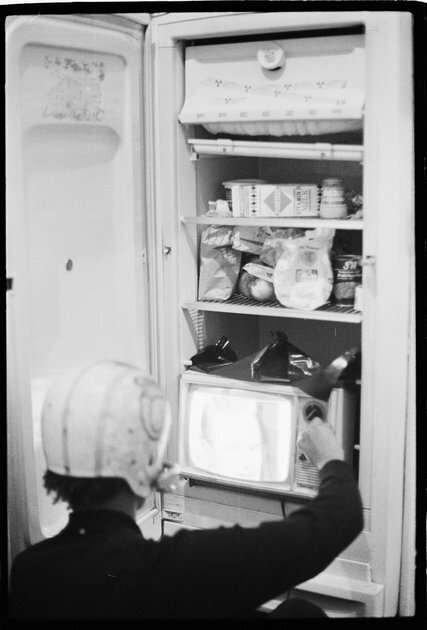 They kept their television in the refrigerator? Phil, they’re supposed to be artists; what dd you expect, normal? Gotta make statements, you know. The television in the refrigerator? Yeah, it makes perfect sense.